Biggest Tour & Travel Agents in Malaysia. MATTA fair over 1,000 Booths has been occupied. 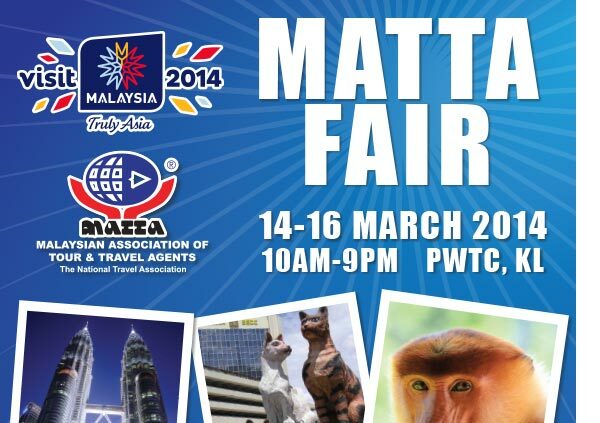 Judy Cheah chairman of MATTA, She is expecting achieve sales over RM150 Million in MATTA fair 2014. She said, after all people still need to go travel despite pressure from rising cost of living. She continue to talk about the fair held in 2013 last year which attracted over 100,000 visitor in March. The second MATTA fair 2013 organized in the month of September have been receiving 80,000 visitors. Furthermore, she explained MATTA had spent RM1mil in order to promote this event. She hopes the fair will be very well-received by the public members although the fair offered discounted travel package, it does not mean the quality of the package is lowered. Patron should realized that the discount is the result of subsidies by national airlines and national tourist offices. In order to make the fair more vibrant and memorable for visitors, Attractive prizes will be given for lucky winner in MATTA 2014. Buyer Draws Contest, anyone who purchase over RM500 is entitled 1 entry. The grand prizes will be two business class flight tickets to London worth RM53,000. In conjunction of Visit Malaysia 2014, there will be VMY2014 draw Contest. Minimum purchase of any domestic packages which mean You will be travelling within Malaysia. The prices of the package exceeded RM200 will be entitled entry to VMY 2014 lucky draw contest. Let say you purchase a domestic package worth RM1,000 , You are entitled VMY lucky draw contest as well as the RM500 Buyer Contest. All of the contests above are required You to safekeeping official receipts as a proof as if you announced as the winner of contest. Besides, there is a secret code will be given at Registration counter so do not forget to check them in prior !